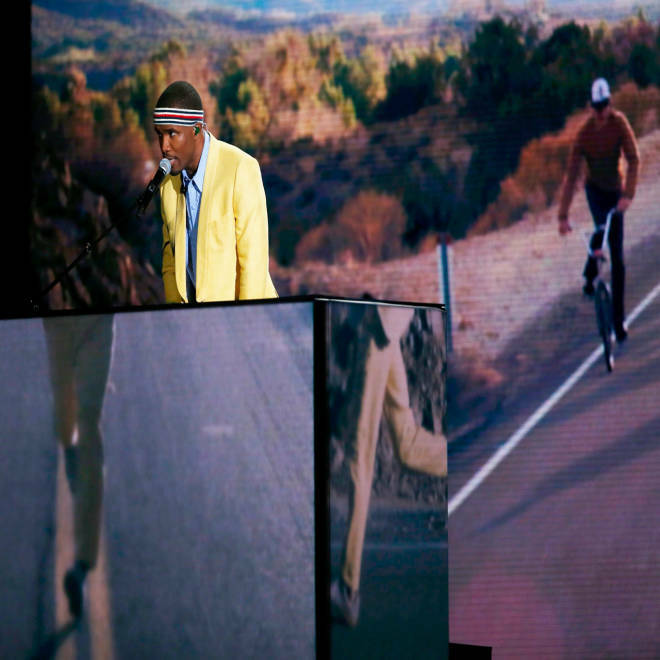 Frank Ocean channeled Tom Hanks in 'Forrest Gump' for his performance. Frank Ocean had a big night at the Grammy Awards on Sunday, leaving fans with one of the most memorable performances of the night as he donned a retro look and pretended to run in place while singing "Forrest Gump." 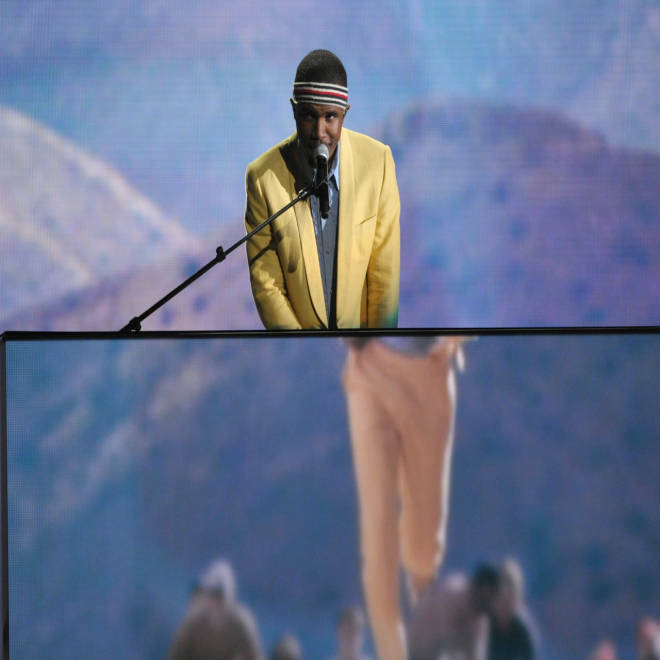 The singer performed his song in a stripey headband and lemon yellow blazer, his legs hidden behind a giant screen that projected a record image of his legs running, in what seemed to be an homage to the iconic Tom Hanks movie role. Fans likened the look to Luke Wilson's scruffy tennis player Ritchie Tenenbaum in the Wes Anderson classic "The Royal Tenenbaums." Some fans compared the look to a Wes Anderson movie. While some mocked Ocean for the performance stunt, others took to social media to express their support for the singer, who revealed on his blog last year that he had been in love with another man. "Forrest Gump," which includes the lines "Runnin on my mind boy," has been interpreted as a love ballad that reveals Ocean's sexuality. We rounded up some of the reactions — weigh in with yours in the comments!